My Dad would love those! Want. Those sound so good. As soon as I see chocolate in the ingredients, I'm good to go. I can nearly smell the lovely baked goods from here. OH I forgot to tell you I made the potato chip cookies for my hubby. The combo of salt and choco. chips was divine. Yummers, I would eat a large plate of these. Hi Betty - those look just delicious .. bet there weren't any left - and what a way to wind up the end of Finals .. summer holidays are here again .. some free time. "Enjoy Life. Eat More Cookies." I'll bet they did get great reviews! The look and sound very tasty! You found my weakness! If it ends in "ookie," I'm in! I'm still enjoying the Potato Chip cookies! 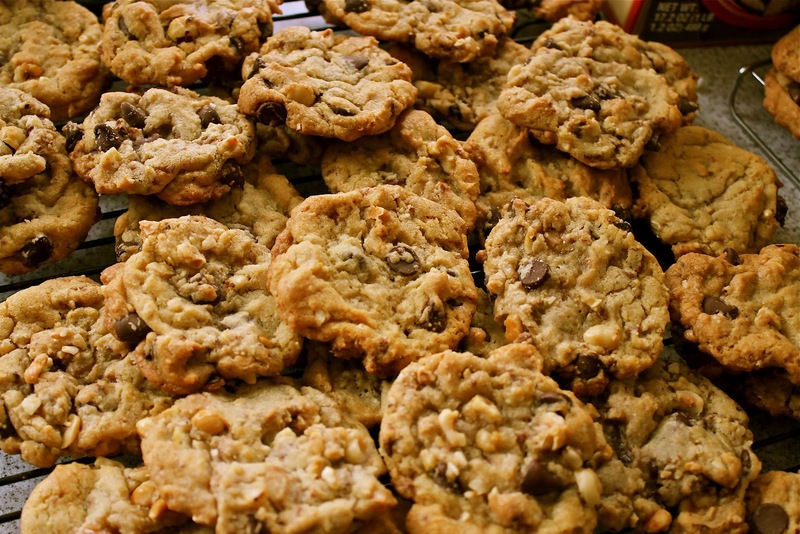 that sounds and looks amazing- I try to avoid making cookies unless it is for someone else. I like Heath Bars! Bet they are delicious. Those sound yummy and look yummy. They are a must make. Thanks for sharing. My mouth is watering right now. And I'm trying to diet. Oh, well. I am tryng to DIET!!! I'm pretty certain I've never enjoyed a hazelnut cookie before. In related news, I'm pretty certain I've been missing out during my 34 years on this planet. AAAAK! I just gained 5 lbs looking at these yummy cookies!! Yum! Mm, I just snagged the last one. I hope it wasn't yours. If so, I'll make a new batch and try to save you one. Thanks, Betty.